As an author, I marvel at the sights of this beautiful planet. My imagination soars with the heights and floats with the breeze and waves. I imagine my established characters, and sometimes new ones, in these scenes. Pictures and scenes are one of the greatest ways to foster ideas. I take LOTS of pictures in our travels. Some of them have made it into videos of my books. Others serve to keep my mind agile and brisk with ideas. Tell me, what kind of story ideas do these pictures give you? Do you see a young couple hiking in the northwest? What troubles do they stumble into? A dead body? A raging fire? Kidnapping? Finding themselves with new purpose? Do you imagine a family camping here and encountering wild creatures? Fishing? Hunting? Or can you see something entirely different? Set in Mexico, in a missionary setting, a young girl meets two very different impressive men, but which one is the right one–for her? Then, she must also figure out which one is the drug lord… Can she do both–and survive? What do you imagine here happening? An Amish story? an 1800s novel? A wagon train passing through? Or perhaps a country farm setting with a wife who dabbles in mystery problems in the nearby town? To me, I can see another story, I’ve begun and hope to finish soon, set during the late 1800s, Destiny and Michael riding their horses through one of the fields he owns, arguing, both strong people who must decipher whose father was the gold thief and find love in the midst of their suspicions. In this one, what does this scene depict in your mind? A scary situation? Mystery? A lost child? Can you feel the terror? Do crazy thoughts of someone jumping out at you lurk in your imagination? Can you see children in an adventure book strolling this path? To me, I can see in my Alex and Denton Davies series, the two of them walking this semi-dark woodland pathway, searching for clues or chasing after a suspect. Does this bring to mind a warm, cozy feeling? Can you see an abominable snowmen lurking close by? Or can you see a couple meeting on the ski slopes? A family adventure? A lonely older person meeting his soul mate? I see a mountain lodge where a female detective looks for a psycho suspect and runs smack dab into a love she hadn’t planned on. But can she find the bad person…and keep the love? Can you see how we can use pictures and images to further our writing, to increase our creative juices, to spur us to keep writing, and to give us the encouragement we need when we’re stumped? Take advantage of everything and all things that keep you writing. Tell me, what do YOU see in these pictures? What do you use to sit down at your writing desk and add a few more pages to your document? Novellas are basically stories that are too short to be considered a novel and too long to be under the short story category. They are fiction between 15,000 and 40,000 words. Novellas have gained popularity with the emergence of e-books because they cost very little to publish. Also an e-book novella can cost the reader as little as 99 cents. Many publishers and authors have created anthologies with a group of novellas around one topic, such as the Civil War, quilting, or Christmas on the frontier. One Plot: Novellas generally only have one plot. They are too short to develop subplots effectively. One to Two POVs: A novella does better with only one or two points of view. It’s too short for much character development, so by limiting the number of main character points of view, it makes it easier to have deep character development. One Topic: Keep the main thing the main thing. You want to limit yourself to a brief span of time and one problem your character needs to overcoming. One major focus will make your novella stronger. Write Tight: Novellas are shorter than novels. They require you to get to the point as quickly as possible. This isn’t the genre to use long flowing writing or descriptions. Novellas require tight writing. Every novel has an inciting incident, a point that starts the story’s journey. 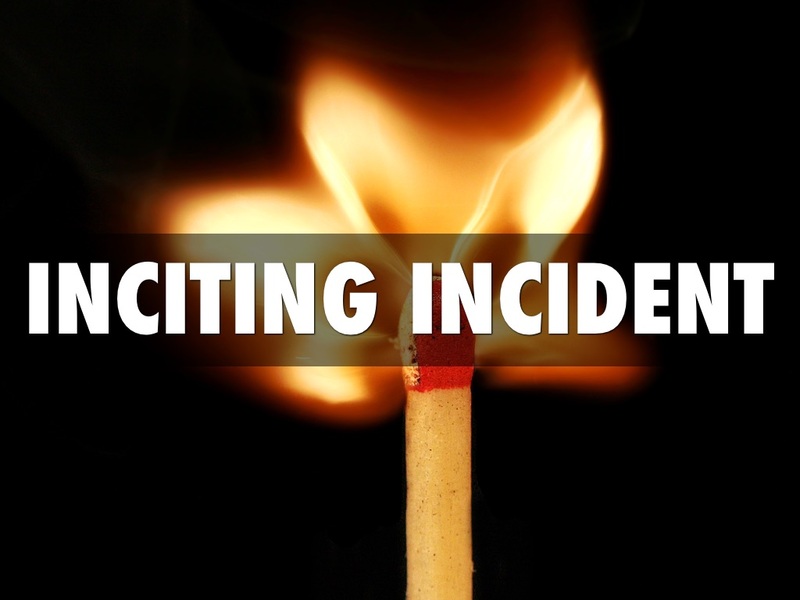 An inciting incident is the catalyst that causes the protagonist to take action. It is the thing that must happen to mess up your character’s normal life and set the story in motion. Without an inciting incident, there would be no story. Don’t confuse the inciting incident with the doorway of no return. The inciting incident is what causes a disturbance in the main character’s normal life. The doorway of no return is when the main character decides to act in a way she can’t return from. There is a process of decision making for the character between the inciting incident and the doorway of no return where she begins her quest. An example of an inciting incident would be when Katniss’ sister’s name is called for the games in the Hunger Games. The door of no return is when Katniss volunteers to take her sister’s place. In the Wizard of Oz, the inciting incident is when Dorothy’s house is blown away by a tornado. She may have had problems at home and dreamed of a better life over the rainbow, but nothing really happened until the tornado blew her away. The door of no return is when she kills the witch and puts on the ruby shoes. For Lucy, in The Lion, the Witch, and the Wardrobe, the inciting incident is when Lucy hides in the wardrobe. The door of no return is when the beavers tell Lucy about the fawn’s capture. She and her siblings decide to stay and help. 1. The inciting incident should happen early. By early, I mean by the end of the first chapter, maybe even by the end of the first scene. Some novels have the inciting incident in the first paragraph. Since the story doesn’t really start until the incident happens, don’t waste the reader’s time by taking too long to set up the story before the inciting incident. 2. Show that a change is needed. From the first sentence in the novel, show that the peaceful life of the character has conflict. Basically show that the protagonist’s world needs shaken up by the inciting incident. 3. Make the incident important enough to change the character’s life. The incident doesn’t have to be major, exciting, or earth shattering. But it does need to be the match to ignite the fire that changes things. It could be as simple as the protagonist meeting the love of her life when she’s happy with things the way they are or as earth shaking as being blown away by a tornado. 4. The inciting incident must be personal. Your inciting incident might be the Civil War or a nuclear war. It might involve a tornado or a fire. Whatever the case, if you incident affects masses of people, you need to show it from your protagonist’s viewpoint. Show how it changes your main character’s journey. Shakespeare said, “A rose by any other name would smell as sweet.” That may be true. But it wouldn’t bring up the same image if it was called a skunk. When you write your novel, the names you call your characters are important to the overall story and should be considered carefully. Here are a few things you should think about when naming characters. What image does the name bring to mind? Think about the name Gus, or Ralph, or Fred. Conjure an image in your mind. I’ll bet you didn’t come up with a college graduate with an expensive wardrobe. That’s because these names are associated with a certain type of person. Now think about a man named Perceval. Would you imagine him to be a rough cowboy on the range in the Wild West? Whatever name you decide upon, make sure that name fits the image of your character – unless there’s a reason you want a cowboy named Perceval or a socialite named Gertrude. Consider Historical Reference. This is important if your story takes place in the past, but even contemporary stories should consider this. For instance, think about women you know named Tammy or Debby. Chances are they’re around fifty years old. That’s because a very popular movie called Tammy and The Bachelor starring Debbie Reynolds came out in 1957. Between 1958 and 1963, these were the most popular girls’ names. In the early 1980’s, most children were named Jonathan and Jennifer because Hart to Hart, a popular TV show of the time, named their main characters, Jonathan and Jennifer Hart. Think about names for your characters would have been used in the time period they were born. If you’re writing about the eighteenth century, here’s a link with a list of common names for that period. This link to the Social Security Bureau lists popular names by decade starting in 1880 is also helpful. If you want a name earlier than that, try an ancestry site such as Ancestry.com for some ideas. Use Ethnic Names. If you have ethnic characters or characters from different nationalities, choose names that go with those nationalities. Make sure the names are easy to pronounce even if they are uncommon to our culture, or your readers will trip over them. 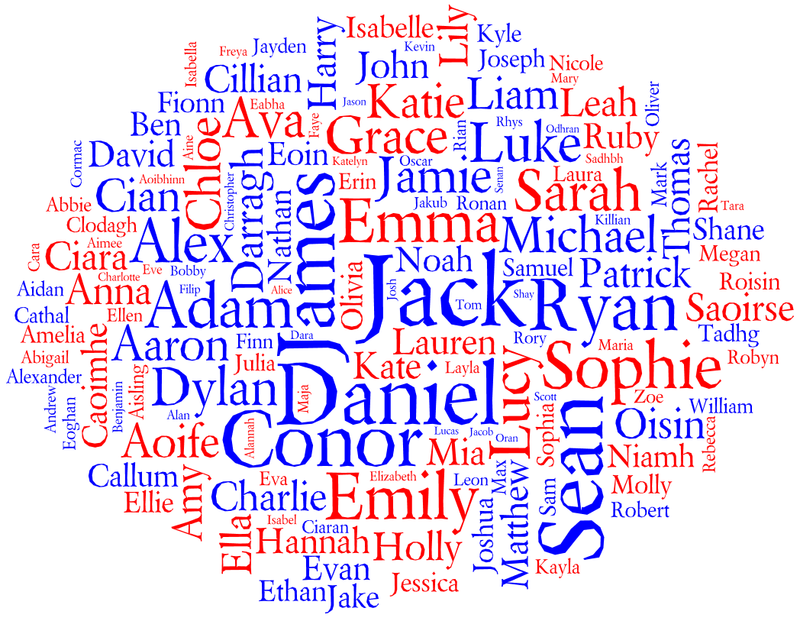 Here’s a link to a site ethnic names for different cultures and nationalities. Choose names with meaning. The meaning of names is important. In the Bible, when someone changed, God would give him a new name. Saul (Jewish name) became Paul (Gentile name). Jacob (trickster) became Israel (prince of God). To give your characters more depth, try finding a name whose meaning goes with their character development. Here’s a link to a site that gives names’ meanings. Names give identity to people. If you choose carefully, the right names will also give identity to your characters. For years, I never completely understood plotters or pansters (seat of the pants writers) because I didn’t really fit into either category. At some point, I came to the realization I didn’t have to be completely in one camp or the other. There are a myriad of possibilities on how to pre-plan a novel, and making a complete outline is only one of them. I’ll talk about those in a moment, but first let’s discuss what plotters and pansters are. Plotters: Plotters are those organized people who make a detailed outline of their novels before they even think of writing the first draft. Basically, their outlines are their first draft. This works well for some people because they are wired that way. Others are stifled by what they consider a rigid outline. Panster: Pansters are writers who do very little or no plotting before they start writing. These are the people who give plotters spasms. They discover their plot points as they write. Most pansters don’t think they need resources. After all, they have their creativity to guide them, but their creativity can write them into a corner. Pansters may not do pre-planning, but the smart ones understand the more they know about the principles of plot, the better. It takes a certain amount of storytelling knowledge to be a good punster. Usually during the second draft, the panster will make outlines and check plot points to make sure they don’t have plot holes. My Book Therapy listed above is a great book for a panster to plug in the plot points after the first draft. Here are some books and resources to help a panster know the story elements better. Middlers: Most writers are somewhere in the middle. They may plan characters and a few plot points but they don’t overly outline their novels. What works best for you will probably be some variation of the above. You might find the signpost plot points of Super Structure or the Lindy Hop highlights of How to Write a Brilliant Novel works well, or you might need more or less structure. Whatever works for you, it will only benefit you to learn story plotting and structure techniques. Experiment with all these methods whether the entire stucture or only the highlights. Chances are you’ll find you aren’t a true plotter or panster but are somewhere in the middle. Sometimes you’ll even find a method that works well for one novel doesn’t work for the other. That’s okay. Whatever process you use will help you become a better writer. Many writers of fiction wonder if they should have critique partners. Critiques can cause beginning writers problems, but they can also be helpful if they’re used right. Even the most experienced authors can benefit from a critique of their work, but bad critiques or using them in the wrong way can become your worst nightmare. Here are 10 tips help you benefit from critiques. Don’t get a critique too early. Finish your first draft before you even consider getting a critique. In fact, you should write your first draft before you ever show it to someone else. There are some reasons for this. In the first draft, you are working out the story on paper. You don’t need someone telling you they don’t believe your characterizations or where your plot is going. You work those out as you discover your story. The novel evolves as you write it, and if you share it too soon, it will no longer become the story you have because other people’s opinions will affect the way the story evolves. You can get help brainstorming during the first draft. Brainstorming is different than critiquing. When you are struggling with a plot point or have written your story into a corner, brainstorming can help. Remember that brainstorming consists of getting a lot of ideas about a certain plot plot. 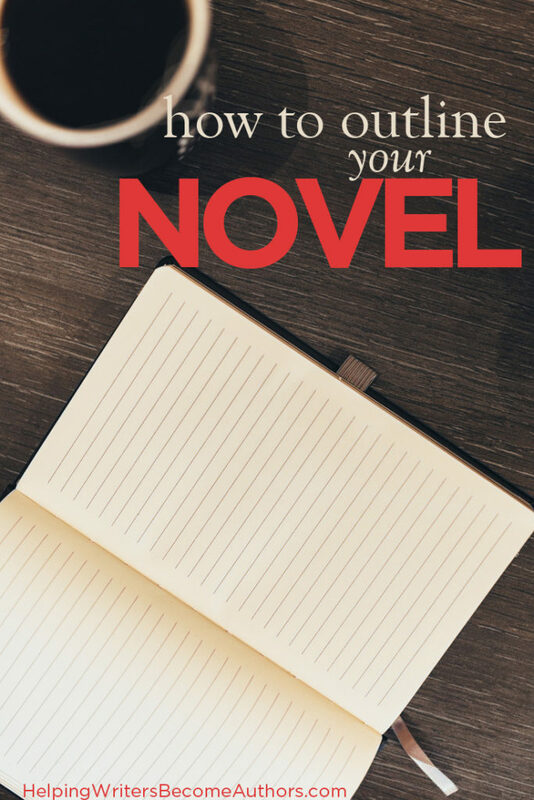 It doesn’t discuss how to write the novel or cover more than one plot point. Once you get a variety of ideas, one of them might spark a totally different idea to lead your story in the right direction. Edit your own first draft. After you finish your first draft, put it in a drawer and ignore it for at least a couple of weeks. This will help your objectivity and make it easier to edit. Now do your own editing. You’ll learn your craft by laboring over your first and second drafts working them to become great. A book I recommend for this stage of the process is Self Editing for Fiction Writers. There are also a number of editing checklists free online. Do the hard work. Don’t expect others to do it for you. Find critique partners. After you’re sure you’ve edited and rewritten the best you can, go ahead and show the story to a few people who love the genre of fiction you write. You’ll want different people in the mix. If you know a grammar expert, definitely recruit that person as one of your best resources. Also, find a couple of people who love to read but don’t necessarily write to point out where characters or plots seem unbelievable or where the reader loses interest. Last, find a couple of writers well versed in the craft who understand your voice and style of writing. Be careful who critiques your novel. I’ve lived through a number of horror stories in my early days of writing because I chose the wrong critique partners. Once I had a group of critique partners who wrote contemporary category romance. I write intense historical fiction. It didn’t work out well. Another time, I chose a novice who though she knew everything about writing. She kept wanting me to phonetically spell out all my accents. When I wouldn’t do it, she almost had me in tears. Later, after I’d studied the craft more, I found out I was the one doing it the right way. Many times finding a good group of critiquers is trial and error. Keep working at it until you find the team that helps you the most. Don’t Get Discouraged. When you get your critiques, don’t be discouraged by varying opinions. Remember they are opinions. Also, after you read a critique, don’t change anything right away. Let the critique set a day or two to digest the information and help you look at it in a fresh way. Sometimes a critique will be spot on, but it stings so much, we can’t see it at first. Other times, the critique partner is adding too much of her own style and would ruin your voice if you took the advise. You are the expert on your novel. If there is something you struggle with, inform your critique partners to look for it. You may have a difficulty with setting or you’re not sure the character motivation is right. Tell your critique partners, and they may be able to help you in those areas. Don’t let a critique partner change your voice. Take everything critique partners say into consideration, but don’t let them change you voice or your story to suit them. At some point, you may need to back away from critiques to make sure you’re writing the story your way, or you may need to find different critique partners. Do what you need to do to maintain the integrity of your story. Get different kinds of critiques. This is where having different types of critiques helps. Sometimes you will want to tell each person what type of critique you want. Some critiquers will look for holes in plot or character motivations. Others will notice the “rules” for writing and let you know when you’re head hopping or when you haven’t resisted the urge to explain. Some are sticklers for word choice and will alert you when you have worded something clumsily. The last kind of critique you want before you submit your manuscript is a beta read. A beta reader will look for punctuation, spelling errors, repeated words, weak verbs, etc, and will let you know if your character changed eye color or shrug too many times. Even if you don’t get the other critiques, every author needs a beta reader. Don’t get too many critiques. More than ten is excessive. You probably don’t even want that many. If you have too many opinions about your work, you might be tempted to second-guess yourself. It’s your story. Always remember that.